The 6S3P-EV Long-Life High-Frequency Triode is designed for Amplification of High-Frequency Voltage. 9 pins, Glass Bulbe, Indirectly Heated Oxide-Coated Catode. The 6S4P-EV High-Frequency High-Transconductance Triode has been designed for use in Grounded-Grid cirquits of Input and Wide-Band Amplifiers. 9-pin Glass Bulb, Indirectly Heated Oxide-Coated Cathode. 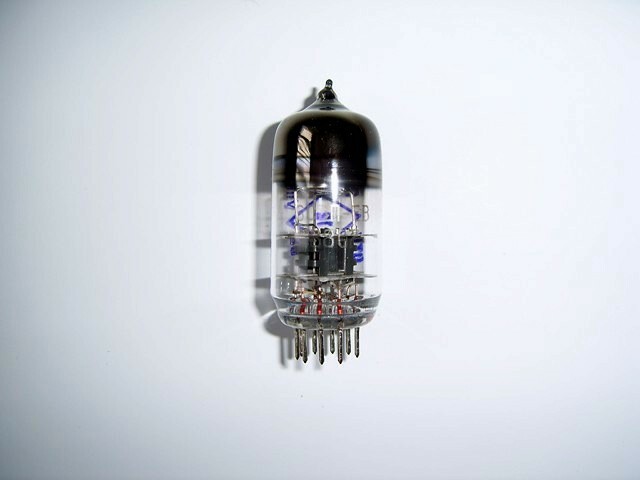 The 6S3P-E Long-Life High-Frequency Triode is designed for Amplification of High-Frequency Voltage. This Tube is One Triod, Intended for use as Grounded Grid U.H.F. Amplifier, Oscillator or Mixer for Band IV and V.
Can be successfully used in high-quality audio equipment.